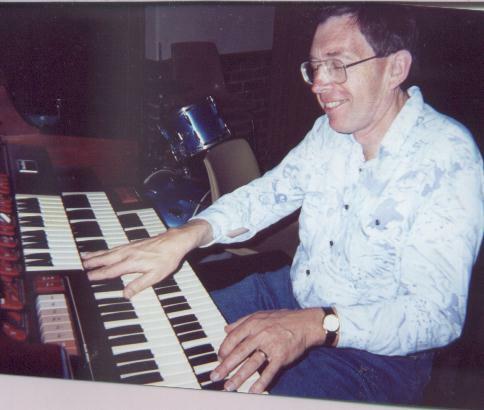 Ted enjoying the range of a three manual organ. The picture was taken some years ago. Ted Witham is an Anglican priest with many years experience in parish and schools. He is a Franciscan tertiary, and this spirituality permeates his thinking. He lives with chronic pain, and this has meant that he has retired early, and can spend more time on writing. He lives in the gloriously beautiful south west of Western Australia among the beaches and vineyards that make the area famous – and healing. Greetings Ted, always good to meet a fellow blogger….just popping by to say thank you for visiting my blog~Tears in a Bottle….I plan on spending some time reading yours….May our Lord bless you richly this day with His amazing Love and Unbridled Grace!!! Dear Ted, We are a Christian bookshop in Wellington, New Zealand. A customer has asked if we can obtain 2 copies of your recent book “Upside-Down World of St Francis” for her. I see that e-book options are available. Can we obtain a printed version for her somewhere? Kind regards, Philip Garside, Epworth Books. Thank you for the enquiry about the Upside Down World of St Francis. I would be happy to send you 2 (or more!) copies at $AU10 plus $AU2 post/package. Just let me know and I will put them in the mail for you with invoice. As the books are privately printed and technically not published, I am asking only the cost of recouping printing. Otherwise customers can buy the E-Book from Smashwords for $US3.99 (https://www.smashwords.com/books/view/205347) in any E-Book format. I was so glad to find your “space” on the Internet–Meg and I were afraid that we had permanently lost touch with Rae, you, and your children! If you don’t mind, please contact me at fbelltwo@gmail.com so that we can catch up. We still hope to visit your part of the world once we’ve fully retired. How good to hear from you after all these years. I enjoyed my time at Hale, but you’re right that there were times when I was singing a different song than the School values. Where are you now ? What have you done since school? Scott is near Darwin running a beef and tourist station. He’s generally happy but still recovering from the unexplained death of Benji his son, at 16, three years ago. These tragedies mark us.